There's nothing quite like getting covered in flour whilst learning new baking skills! 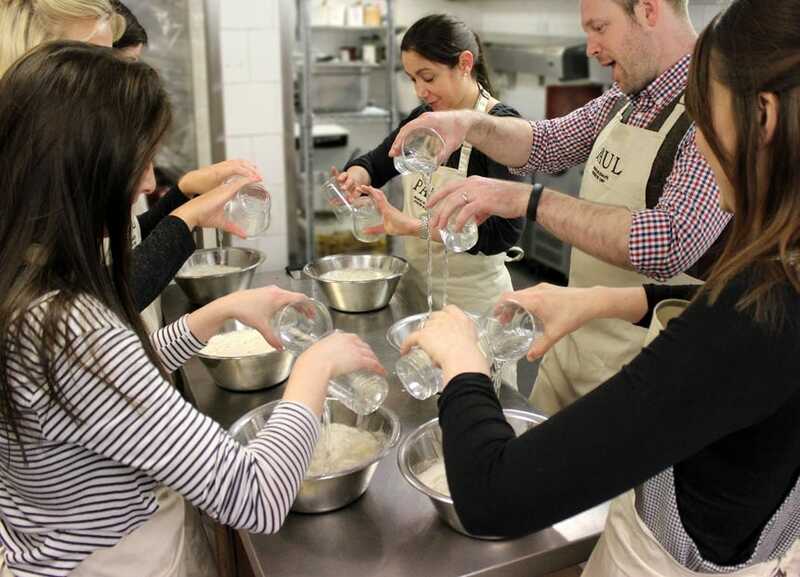 If you want a group of proud bakers, our bespoke courses are available for groups of 5-7 people. Large numbers for bread courses can be accommodated by special arrangement. For an office team, it's a great way to get to know each other better in a light-hearted, informal environment, with a bit of healthy competition built in. For an unsual way to celebrate a birthday, hen party, or just a get-together with friends or family, it's an evening full of fun, laughter, learning and creativity, accompanied by an irresistible smell of baking and some lovely food and drinks thrown in. Go for one of our published courses, or ask us about a bespoke class for your group. Locations: Bespoke courses take place at PAUL Covent Garden or PAUL Bankside. 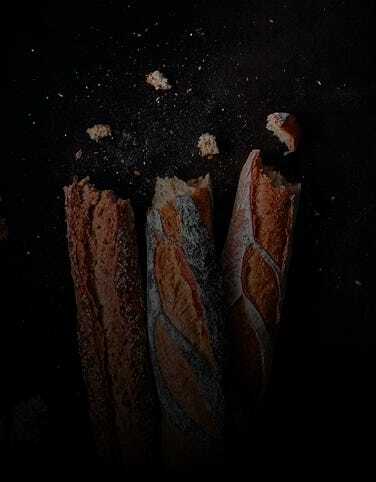 All pastry courses and advanced bread courses take place at Covent Garden. Days/Times: Ask us about your preferred dates. Our courses take place in the evening and typically last three to three and a half hours, from 6.00 pm to around 9.30 pm and generally include time at the end of your class for food and drinks. Enquiries: Email us at masterclass@paul-uk.com for more information about booking a class for a group.